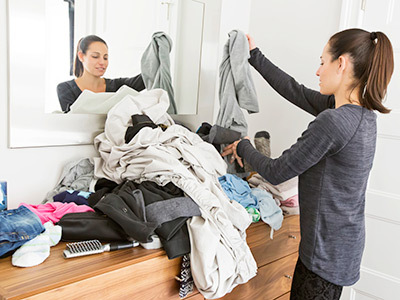 Spring cleaning often arrives in the form of an annual and unwelcome guilt trip. As in, right about now, somewhere between spring break and the point where your desire to buy spring clothes becomes insatiable. It’s time to bring in the big guns. Spring organizing isn’t for the faint of heart, or for the rookie, without a little pro guidance. Otherwise you’ll have several lost weekends (and most gurus say to do it all in one fell swoop), and possibly never get done because you’ve given up long before a trip to the Container Store. So we decided to bring you the best four home clutter-busting books we know: Experts who could make any overstuffed closet cry for mercy, who can show you solutions that will seriously make you feel like getting dressed in the morning just might be a fun activity. Best of all, we’re offering a limited-time, 30% discount on these books. Enter code SPRING2015 at checkout and your discount will be applied. Happy spring cleaning! 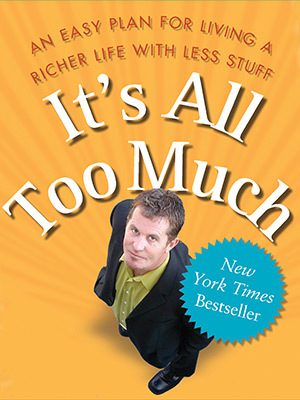 When Peter Walsh, organizational guru of TLC’s hit show Clean Sweep and a regular contributor to The Oprah Winfrey Show, appeared on national television shows and told people how they could reclaim their lives from the suffocating burden of their clutter, the response was overwhelming. People flooded Peter’s website with success stories about how his book had changed their lives. With his good humor and reassuring advice, Peter shows you how to face the really big question: What is the vision for the life you want to live? He then offers simple techniques and a step-by-step plan to assess the state of your home, prioritize your possessions, and let go of the clutter you have been holding on to that has kept you from living the life you imagine. 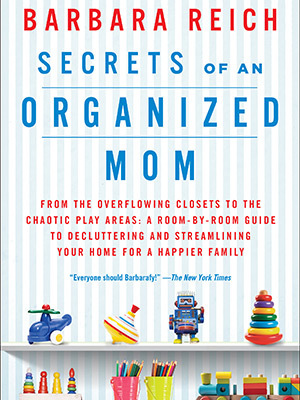 Secrets of an Organized Mom is one of our most trusted resources, with organizing guru Barbara Reich offering a life-changing program for your life and home. Just when one problem or responsibility is overcome, another trips us up. Reich has all the strategies for staying ahead of the curve—and she’s wrapped them up into four easy steps that can be applied to any organizing project: 1. purge, 2. design, 3. organize, and 4. maintain. Time is of the essence when you need to find a home-detoxifying strategy. This guide is just right for those who need to complete their home makeover in matter of days rather than weeks. 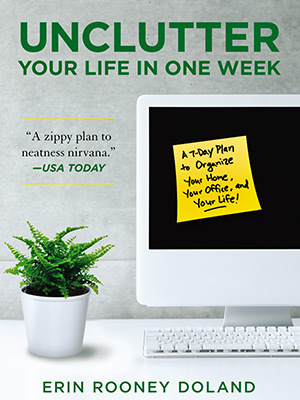 Organization expert Erin Rooney Doland will show you how to clear the clutter, simplify your surroundings, and create the stress-free life you deserve—in just one week. 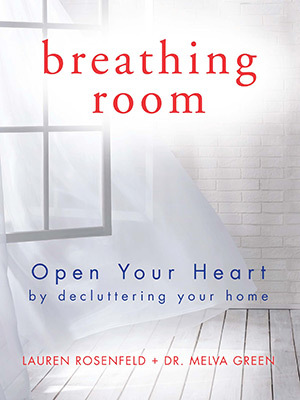 Written by a medical doctor and a spiritual intuitive, with case studies of messy people just like us, Breathing Room takes you on an enlightening room-by-room tour where each room in your home corresponds to a “room” in your heart, and where decluttering will not just make space but improve the spirit. Kristy Ojala is the director of content and programming for Tips on Life & Love. A clean freak Virgo, gem curator, acupuncture snoozer, animal lover, tortilla chip machine, Scandophile, loather of pests, reformed cynic, and fitness fiend, she's always looking for sane-ish new experiences and memorable reads.